Wow. A cracked-out, washed-up has been of a pop star dies in the bathtub of a lavish Hollywood hotel and the mainstream media reacts as if it is the only notable news of the week. 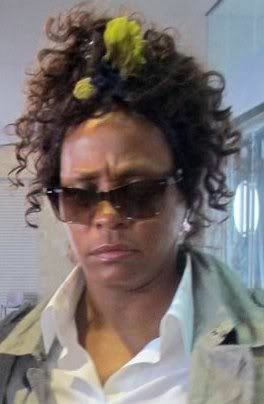 I would never bother to watch the Grammy Awards, but I can only imagine how the entertainment elite will jump on the "we miss you Whitney" bandwagon. You can bet the producers, directors, and choreographers are scrambling to reorganize the entire production to honor the memory of their all-too-soon wasted fellow drug abuser. I wonder if Las Vegas odds makers are taking action on the color of ribbon the celebutards will be wearing. If news of a notable fatality this week is something you seek, why not look here instead. I don't need Vegas odds makers to tell me that you won't be seeing this story covered in the media. They'll be too busy covering the reaction at the Grammy Awards, the autopsy, the star-studded funeral, and the follow-on media buzz drama which will undoubtedly be generated by Houston's co-dependent enabler ex Bobby Brown and their soon-to-be newsworthy daughter. But I digress. While you're reading, check out today's tune. 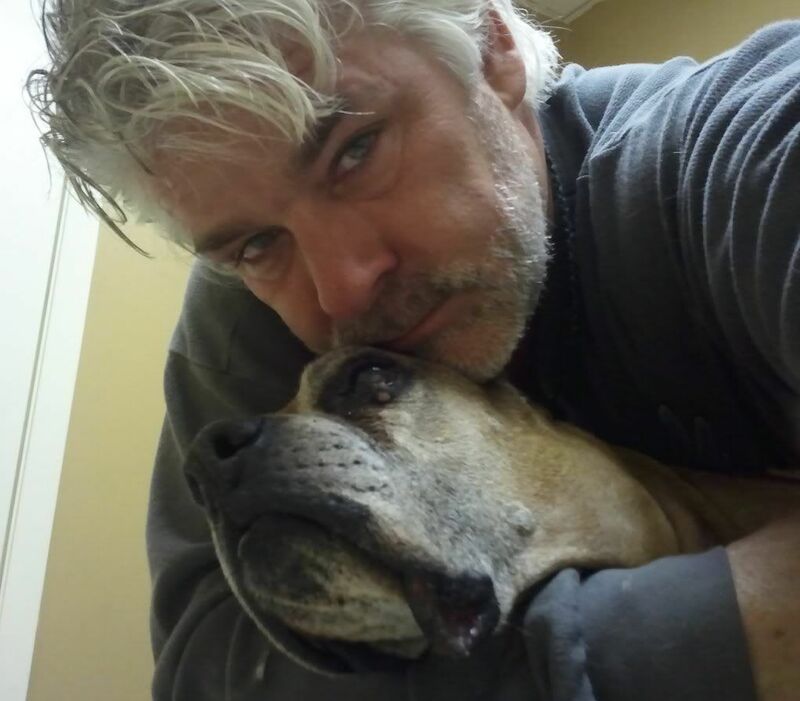 We said goodbye to Zeus today. As cliché as the saying “man’s best friend” might be, it was anything but that for Zeus. 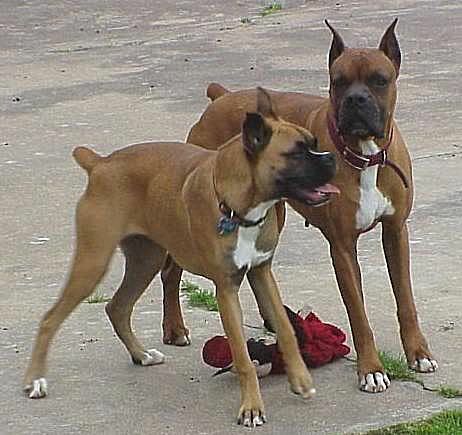 I could be biased here, but as breeds go, boxers are a dog’s dog and Zeus was a boxer’s boxer. In 2004 at about three years of age, he joined our family when his people found themselves moving overseas to an environment where many dogs never survive the quarantine process. Zeus settled in and was part of our family pretty much from day one. 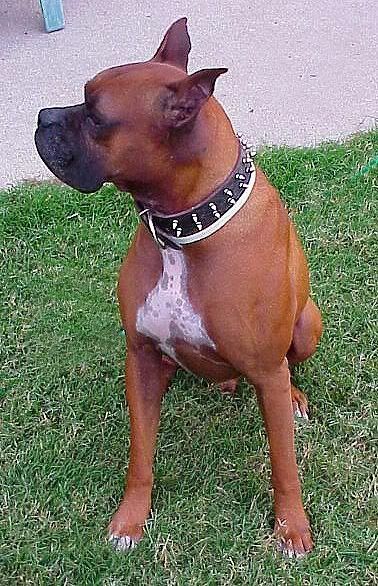 Boxers are the quintessential family dog and are known for attaching themselves to one particular person; a special one for whom they feel an extraordinary need to guard and protect. Zeus had a three year old girl in his first family to protect, so he was as gentle with kids as any breed. In our family, my youngest teen aged son became that special one and Zeus kept a watchful eye over him anytime the two were in each others’ presence. 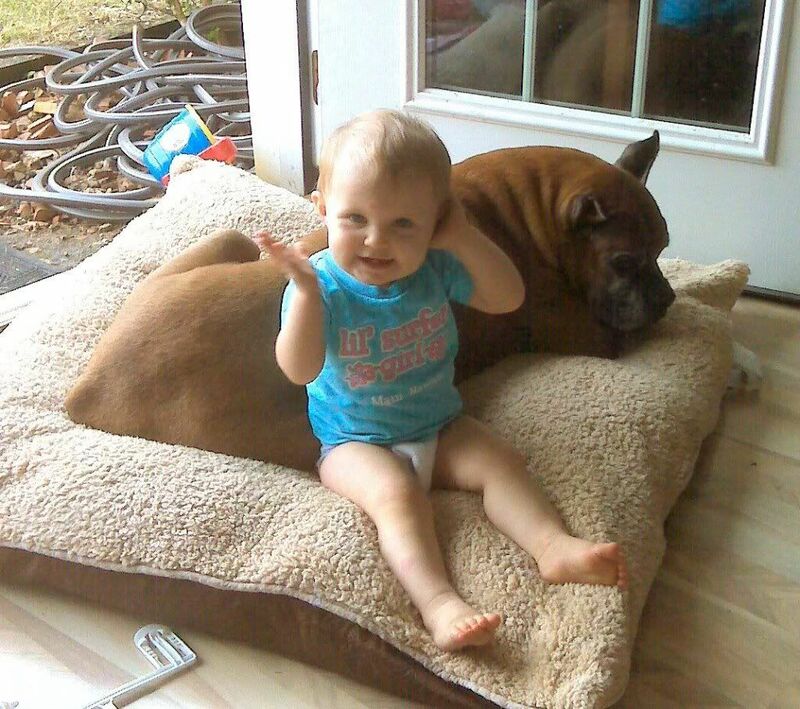 Whenever our nieces were over or friends brought an infant or toddler into his home, Zeus would go into protective overload and stand guard over them. Many years ago, a delivery driver made the mistake of touching the front glass storm door when a small child was playing in the foyer. To this day, DHL still calls our house from the end of the street to have us step out to the curb to pick up packages. In our home, Zeus was the alpha dog in a family with another boxer and a cat. Like any adept leader, he played his part coolly and was always in control even when it appeared the other family pets were getting the best of him. He would share his food bowl, his treats, his bed, and his blanket with anyone or any other visiting pet. Zeus had no tolerance however, for squirrels that ran across his yard or the birds that had the nerve to fly over it. 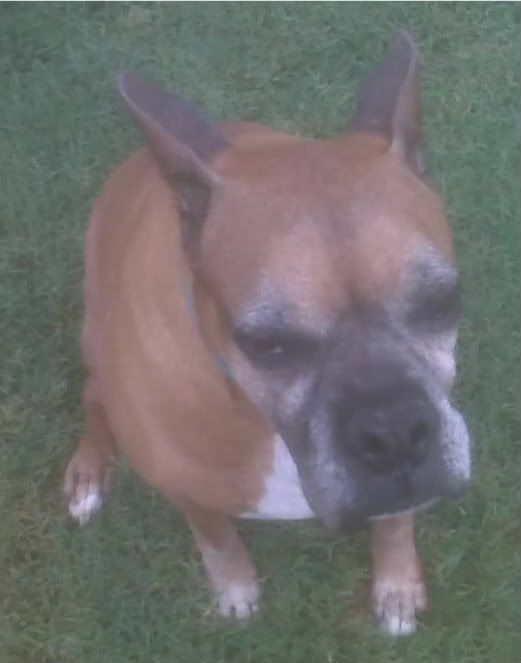 Years passed, the kids grew up and moved away, and Zeus gradually and gracefully aged into a stately silver boxer. With no other dog in the home to mentor and no kids to protect, Zeus’ role in his home became more of an active retirement than that of an ever-guarding alpha protectorate. Over the last two years, his purpose in life (other than napping) was to be a permanent companion to my visiting granddaughter, especially when she was eating. Brooke enjoyed his loving companionship and the birds and squirrels enjoyed a previously unimagined level of complaisance in Zeus’ back yard. Time did what time does to dogs and Zeus wasn’t immune to its effects. Partial blindness, semi deafness, cancer, and age-induced fatigue rendered our veterinarian’s apt description of Zeus’ condition: “He’s got a severe case of old.” As such, the steady enfeeblement we witnessed over the last year or so became a steep decline over the last couple of weeks. It’s said that many humans treat their dogs better than they do other people. I suppose that’s because in most cases, dogs deserve it. Over the years, I’ve been pretty good at not loving my dogs to death with diets that render them sick and/or dead before their prime. Zeus has always been a healthy dog and his decline was so gradual that it was easy to overlook his diminishing vigor. This made it equally difficult to avoid loving him beyond life. Knowing this was the day, I cooked him eggs and weenies for his last breakfast and fed him in his bed. As difficult as it was to accept, Zeus was telling us that it was time. He had that look in his eyes that seemed to say "I'll stick around for you if you need me, but I really am tired." As convincing as he was and as right as I knew it to be, it’s still heart wrenching to take action and to finally say goodbye. Dog people know this. Throughout their lives, dogs always offer us their best and Zeus was no exception. He selflessly gave us his all. We owed it to Zeus to let him peacefully drift off to sleep. He was a fiercely loyal and an unwaveringly bold companion. He was my pal. Stand down, Zeus; your watch is over. Enjoy the rest, my friend. You’ve earned it.